I was fortunate enough to attend this event and conference on 14th March. There were a number of speakers on the day and I present a summary of my learnings below. Dr Libby Sander spoke about the Future of Work – are we there yet? She identified that the need to express identity in the workplace is very important. She also spoke about the power of the environment as well as the need for quiet. If you can’t think and concentrate, you become withdrawn and hostile. And most importantly the need for purpose/meaning in the workplace. She referred to the success of enterprises like Wework, Co-living, co-working spaces that create community. She asserted that a physical space creates your cognitive state and the phenomenon of “Presentism” …people being at work but not tuned in. So, if you want to optimize performance, you need to give people choice and control over their environment. Traci Lesneski, principal of MSR Design spoke about the Built Environment’s role in social cohesion. She referred to the artwork of Eric Pickersgill – Removed which so powerfully shows us the challenges we face in the contemporary world. Traci spoke about how opportunities are to bump up against people different from you are minimised with the ability to shop online etc. She quoted a statistic of 30% of people living on their own which I had not heard before and hence the need to practise bridging skills. She spoke about designing for inclusion; offering places for people to have sensory break, prayer, private phone call, feed their baby etc. and the move towards non gender specific as well as gender differences in toileting facilities. Next up were Gulcin Cribb, University Librarian, Singapore Management University, and Tamagin Blake-Smith, HASSELL. I don’t have many notes from their session but I loved the stories and images they shared about how you think you know what the user wants, but then they go and make the space their own anyway…including corridors or furniture that was not fit for purpose. Tamagin reminded us that Designers can have difficult conversations with stakeholders for you. Gulcin and Tamagin found that simple tactile analogue feedback from customers worked really well for them (we’re talking yellow sticky notes on a whiteboard). Klaus Werner blew my mind on a number of counts. For a start I did not even know that such a thing as a library of a philology existed (let’s be honest, I had to look up philology as well; I’ve led a very sheltered life). This building was designed by Norman Foster and is referred to as “the brain”. You get a sense of it from the photo above but you might want to check out this wikipedia article to get a better idea. It is 6000sqm and is not air-conditioned. It is recycled aluminium on the outside and white cloth on the inside. Crazy huh? Imagine being able to do that in Queensland ! If I thought my mind had been blown by the Library of Philology, Mr Zhang’s presentation topped it off. He spoke about shelf-reading robots and automatic check-outs for users amongst other things. I did tweet about the facial recognition gates which provoked quite a response on Twitter. If you want to see it go here. After lunch, Michael Lavery from M3 Architecture spoke about the master planning process for the city of Barcaldine and the need to connect everything cultural. The library sits on junction of north south and east west highways and visitors are often the lifeblood of centre. Michael spoke about discovering what made Barcaldine particular; the four aquifers, the trees and the wildlife. He spoke about artists from Barcaldine Hugh Sawrey and Janet Laurence and wanting to acknowledge their work. In the afternoon, the Governor presented the Library Design Awards and you can read all about them here. Having a signature building changed the way they saw themselves and what the council could do. Visitor numbers doubled for the Perth Library and they saw a significant increase in membership 2500 to 10,000 per annum. Lots to digest! My thanks again to my employer for sponsoring my attendance and to ALIA for facilitating such a thought-provoking and enlightening conference. I was particularly excited to see the new Springfield Central Library – part of the Ipswich Library Service. 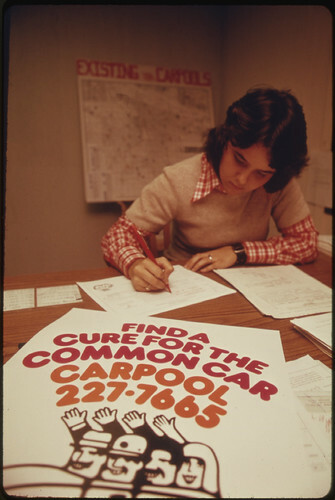 The program was held on the second floor of the library where the Young Adult collection was kept along with Large Print and Magazines. There were also lots of training/meeting rooms and quiet study areas. The picture below shows the space we were in for the two days. The first day was facilitated by Matthew Barry of Preftrain in Victoria. We looked at dealing with aggressive people. Different types of aggressive people were profiled. Aggressive people identified as “random” are the people who might be dealing with mental health issues or substance abuse, in which case you need to focus on safety. Your instinct/judgement will help you decide whether you need to create or find a physical barrier between them and you. Asking them to move to a different area might give them and you time to gather your thoughts and re-frame the issue. A colleague suggested that not getting in the way of or blocking the exit also helps them feel more comfortable. “I feel….when…..What I would prefer….” and so on. We were encouraged to do this as often as possible before we actually needed to do it in a real-life situation so it became more natural for us. We analysed our own behavioural styles and learned to recognise those behavioural styles in others and adjust our communication to match. We talked about the need to ensure that all staff know what to do in this kind of situation and know what records need to be kept. We identified risks and talked about how we could do to prevent things happening or mitigate their occurrence e.g. 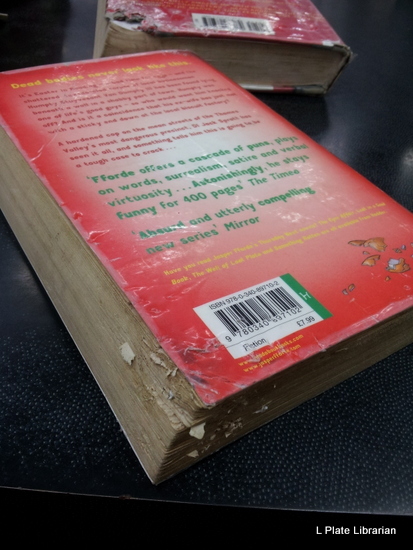 an aggrieved customer who didn’t receive notices for overdue books. This could be avoided by keeping accurate records. The importance of de-briefing staff on difficult customer interactions was also stressed. We thought about how staff demonstrated commitment e.g. sacrificing their own time to help others. We talked about the importance of feedback and giving your team the data so that they knew whether they were reaching their goals. In the afternoon we were treated to a tour of the new library. It was opened in August and has been embraced wholeheartedly by the local community. We were interested to see the much-talked-about “Marketplace” pictured below. This is a different model of purchasing or leasing books and we were interested to hear how it worked. The displays are dressed by a stylist regularly and staff are keen to make their “Staff Picks” shelves appealing and well stocked. I was delighted to see a more visual approach to nonfiction wayfinding and signage on bay ends. I loved the wall mounted tablets to search catalogues with the ability to sign up to the library there and then. There were plenty of quiet study spots and meeting/training spaces. Day Two was about building workplace resilience. The keynote speaker in the morning was Andrew May – a partner in KPMG’s Performance Clinic. (You can see him in action here) This was a really interesting session. It was followed by a fantastic Panel Q & A featuring staff from Brisbane and Ipswich City Council Libraries talking about policy and governance around staff wellness, resilience and handling difficult customers. In the afternoon we looked at indicators of lack of resilience in the workplace e.g. We identified factors that supported resilience i.e. We talked about how to build personal resilience by reframing problems, responding rather than reacting and re-focusing on the issue. All in all much to ponder and act upon. My very grateful thanks to our hosts Ipswich Library Service and of course QPLA, and my employer, City of Gold Coast Library Service for sponsoring my attendance. Update – A new book on resilience you may be interested in reading is Leigh Sales’ Any Ordinary Day. I’ve put it on hold. You can listen to a podcast about the book here. Yesterday was one of those days where you have to just step back and laugh at what your day entails. I was up early to take the dog for a walk as usual..we get going by about 5am. Then, because I had a late start (because I was on “closing”), I had 15 extra minutes to devote to housework. I decided to wash a parachute (as you do) which had been returned to the toy collection with a stain on it. We have a marvelous colour run remover which always seems to work magic and yes it did again on this occasion. Hoorah! I also found a needle and thread to bring with me to work to try and stitch a felt Captain Hook together (from a felt story kit) in my lunch hour after he had been mangled by someone’s dog. Off to the petrol station on the way to work to get some cash to pay for some books I found in the book sale the day before – because wot I need is more books – NOT! But there was one on scrap-booking family history and Rose Tremain’s latest so I couldn’t resist. Oh and better drop by the bakery to buy something to sustain us for morning tea – goody, rum balls, perfect! What do I find at work? Lovely K1 has made caramel fudge and Christmas angel decorations for all of us. She is what is known as a good egg. It’s 8:15 and I put the rosters out – somehow I’ve still managed to mix up Storytime and Baby Rhyme Time but my colleagues are very accommodating and don’t say a word and proceed as if I have rostered perfectly. We’re half way through checking the reservations on the shelf when the CEO pops in to say Merry Christmas – hooray! Down tools and chat about what we have planned for the Christmas break – catching up with family – new babies and grandkids for some – yes we will be working over the break – yes libraries are popular over the Christmas period – our Summer Holiday activities which just opened for bookings yesterday are just about booked out already. Look ! Here are our home made Xmas decorations – do you like them? Made out of brown paper bags – we think they’re kind of neat. Photos are taken. Hands are shaken. Good will to all. Ten minutes before 9 and we have a quick cuppa before we open. I’m quickly sending timesheets off to Payroll before I forget. Rum balls are tested. Fudge is commended. Our vollie comes in and is on top of the shelving so we decide to show J2 how to use the stocktaking wand and tablet. Yesterday we managed to do LOTE, Local History, Reference, Adult Literacy, Young Adult, Large Print, Biographies and the night crew did Beginner Readers the previous evening. Let’s start Non-Fiction. J2’s got the hang of it so I go back to processing what we’ve done already on Spydus offline and start producing reports. J2 comes back- the wand isn’t working. What could it be? I reckon it’s the battery – so we plug everything in to charge. Then it’s 10 o’clock and I’m on the counter. This week the library seems to have really ramped up in business and it’s not even school holidays yet. There’s a queue of people waiting to use our two self-serves and the chute needs emptying. There’s a stack of books to cover because we did some cataloguing of donations yesterday. There’s a list of reservations ordered online in the past hour to find and people in the library need help with placing reservations too. The hour flies by and I manage to peek in and see J1 conducting Storytime to a rapt audience wearing super-hero capes, getting in the mood for our heroes and villains Summer Reading Club. Eleven o’clock and I’m racing out the back to print off the exam I have to supervise today…just as well because X arrives early and he gets 30 minutes of reading time too so there goes that hour. Lunchtime – Captain Hook gets stitched up after I eat my Lean Cuisine with much discussion about scurvy and other pirate/sailor type topics. After lunch, I’m back on the counter. A tells me where she’s up to in Non-Fiction with the stock-take. I carry on and manage to do about three bays but then the wand seems to run out of battery again…sigh. The courier delivers the boxes from the other libraries and reservations are sorted, AV checked and put to mending if needed, returns are shelved. 3pm and I’m off the counter for a bit – hoorah! Time to chase up a few casuals to see if they can do some shifts next week and over the Xmas break. No matter how much I tweak that roster there always seem to be gaps. Then I place the order for pizzas tonight from the swanky pizza shop for after work when we’ve put up the Xmas decorations. Poor J1 is trying to place an order for pizzas for her Teen group from the less swanky pizza shop but they’re having their oven maintained and can’t promise anything before 4:30. It’s amazing how many pizza shops there are in our area when you think about it and we are all over it. A casual rings back. Yes she can do that shift. Yay! I send out next week’s roster to everyone and scan Reader’s Advisory Tips and Charts from our wonderful Community and Readers Services Librarian. 4pm – Prizes are sorted for Teen club. Pizzas are sorted. I’m back out the front shelving and before I know it I’m roped into playing Celebrity Heads with a villains and heroes spin with the Teen Book Club. I am officially hopeless and have never heard of my villain who seems to ride a skateboard?? There’s a storm brewing outside. Thunder is heard. Patrons are asking if our area is affected. Out comes my mobile phone and BOM is checked. No – the worst of it seems to be in Brisbane. We have escaped this time. 4:30 – better start thinking about those Xmas decorations. We’ve made stars out of brown paper bags glued together. You can check the You Tube video here. Find the string and the hole puncher. Drag out the step ladder. J2 holds them up for me and I tie them on to the light battens. Step down. Step back. Admire. Start going through the closing list – lock up the meeting room, do the till. K2’s locking up the chairs outside. Say goodbye to the last patron and then drag out the boxes of Xmas decs. The back door bell rings. It’s K1. She’s come back. I confess to eating the last bit of fudge. Good, she says. J2 K2 and J1 are trying to figure out which is the 2nd middle bit of the enormous Christmas tree. I leave them to it. Where will I put the smaller Xmas tree asks K1? Here, let’s move that pot plant back into the foyer. Now there’s room near the back door. I wander off with some tinsel. The trolleys look boring – let’s tizz them up about. J1 throws baubles over rafters. Hooks are found in beams. Fake candles are placed near the newspapers as a joke. The pizza guy rings me on my mobile. Where are you? Oh you mean the library? Yes I’m here in the carpark. I’ll see you in a second. What’s missing? Something’s missing. K2 walks back down from the Mezzanine with the ridiculously large Santa in lurid red and yellow spotty attire. Ah. Now all is complete. We can rest for a bit. Let’s move to the back deck, says J1. It’s cooler now the storm has been and gone. Pizza boxes are opened, chairs are unlocked and pulled out – oohs and aahs over reef and beef and chicken and avocado – not to mention the view of the setting sun. Drinks are poured. Did we win that wine at a Trivia night? No-one can remember. Stories are swapped – about beds of all things. How did we get to talking about beds? Water beds are discussed – the pros and cons. Stories of dogs flying out windows are told. Second drinks are offered. Better have a soft drink. I’m driving. I ask how many slices of pizza have been consumed (there’s one slice left with my name on it). Thoughts of home edge in. We pack up. I collect my reservation from my locker – Visualising Weight Loss. Yes, well. There’s always tomorrow. Money for the pizzas is stuffed in my handbag despite protestations. We remember to swipe out. It was a big week in libraryland for us in our little library. Lovely Carrie and I were getting a bit hysterical towards the end of yesterday when we found this treasure on the returns trolley. I fell about laughing when Carrie asked me if the squashed item in the book might have been a grape rather than a sultana. Well yes it probably was a grape once Carrie. But possibly before it was squashed between the pages of the book me thinks. We walked our butts off this week. Without going for a proper recreational type walk, I did 13,000 steps on Wednesday and 10,000 steps yesterday, just at work. It’s because we took delivery of quite a bit of furniture and needed to quickly unpack old shelving and reassemble new shelving and rearrange furniture out the back to store bits and pieces until we can find the time to set up stuff. I never knew working in a library would be so much about moving furniture etc. Don’t get me wrong. I love moving furniture – always have – but it’s just I hadn’t realized how much that would be part of the job. Constantly re-arranging and trying to find the best fit for our customers. I still need to improve my knowledge of all the different types of shelving that exist – what all the different parts are called and how it all fits together – bay ends, bays, bins. And then there’s the puzzle of how to affix labels/signage to shelving without creating future work for others in the future removal thereof – the advantages/disadvantages of blu tac versus velcro. All suggestions gratefully welcomed. Yesterday was very much about being a Maitre D and just walking the floor; helping people wrangle the photocopier, finding/setting up a quiet place in the library for people to study (it’s stu vac here in Queensland at the moment so the library is full of students as well as job-hunters) and welcoming intrepid Older and Bolder participants to our library for an event. 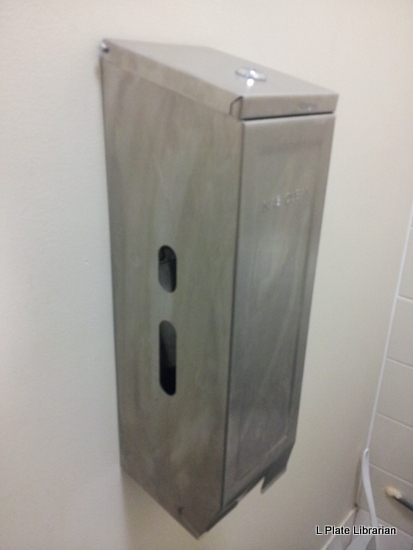 Yes, this is the toilet dispenser that damages the paper thin skin on the hands of octogenarians when they try to get the paper out of the dispenser. 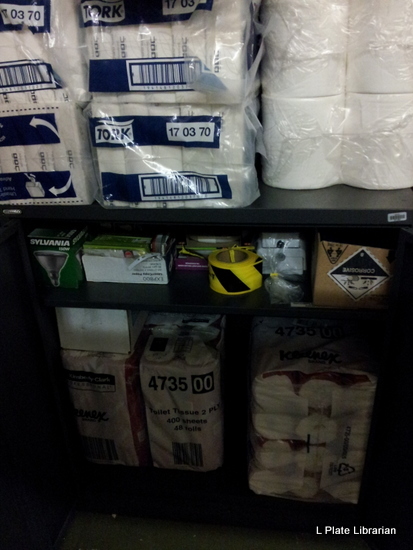 This is what I mean when I say we have too much cleaning supplies in our cupboard – can we store it somewhere else please? 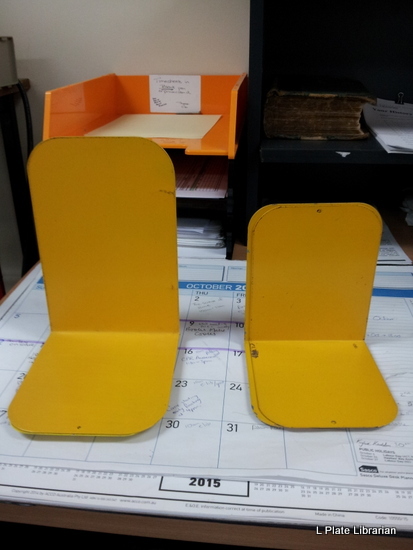 These are the book ends I want powder coated and yes, I have 500 of them on the shelves and another 200 out the back in storage. But then there were “Oohs” and “Aaahs” of delight when I showed them this photo…. 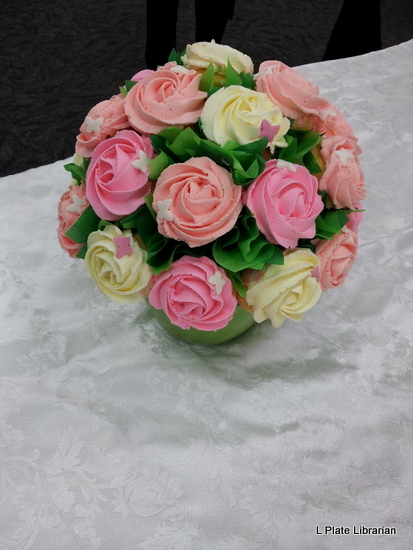 Believe it or not these are actually cupcakes made in honour of a gardening competition presentation held in our library one Sunday afternoon last month. Aren’t they beautiful? They were delicious too. You might think working in libraries is just about books but you would be wrong. It’s really all about cake. Well maybe not cry, but be rendered speechless with shock (well speechless for a couple of seconds at any rate). I did want to take a photo/video of us all gasping when we saw these items come through the chute this week. I’m obviously such a newbie at this library game. I’m still shocked when people return items through the chute like this. Do you ever get over it I wonder? Become immune. 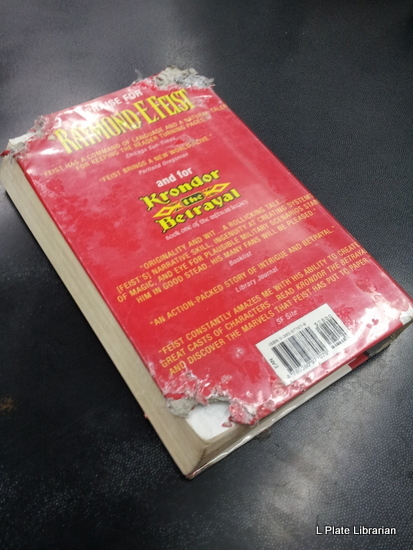 What frame of mind are you in when you return books like this? Do people feel okay with this because of the design of the library chute? Is it because it looks a bit like a bin that people think that they can put rubbish in it? Do we need to change the design of the chute? How could we design it so that it’s still convenient but that people feel like they’re placing the book on a shrine rather than in a bin? 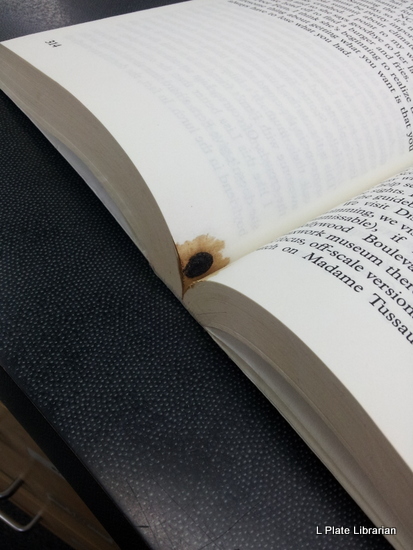 Imagine if you borrowed a book from a friend and returned it to them like that? Just popped it in their letterbox and didn’t even leave a note. And then I have to ring them. I have to initiate the discussion. 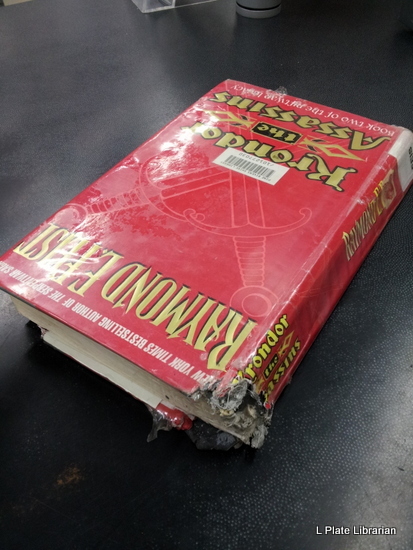 I have to thank them for returning the book and then ask them if they noticed that half of it had been quite chewed. Mad. I love books but I’m beginning to understand the attraction of eBooks to libraries. You can’t chew them. Oops. I missed a couple of days. Easy to do when nothing seems to be really happening and yet my office gets messier and messier and I seem to achieve less and less! So a summary of the past couple of days. People get snaky if they receive letters saying “such and such will be available in your library from today”…and then it’s not. Sigh. Thankfully “such and such” turned up with the courier yesterday and is now on display. Phew! Wipes brow. 70-75 percent of the customers did not visit the library with a specific title in mind. They came browsing. patrons are empowered to help one another in exchange for free, permanent, coworking space, and they utilize the S2M Serendipity Machine to connect library users in real-time. The most obvious change is that people, both members and non-members, are staying longer to meet each other, to search for books or other media, to have a cup of coffee, to consult, to study, to work, to attend activities etc. Customers had to search their books throughout the library. So it’s a kind of a tension between “I’m not really looking for a specific title” and “I can’t find anything.” This hammers home to me that we need more frontal display. The other thing that I was particularly interested in was the idea of the serendipity machine and the exchange of skills and knowledge for free permanent co-working space. This might be a useful tool for determining how groups use the space to ensure the library is for everyone. Lastly the importance of customers being involved in the design of the library. We recently had a change of lounge chairs in the library and one of the comments I received back was “Why didn’t you ask us before you changed them?” Good point. I’ve been working on a Guide to Family History Resources at our library for members of the Family History group that meet there once a month. There’s a bit of me that wonders if I have gone about it the right way. At first I wanted to highlight some resources that we have in the library but that are not on display. This is mostly because they are valuable resources and we want to make sure that they don’t go walking. But keeping them hidden means they’re not being used and really defeats the purpose of having them. They are discoverable on the catalogue of course but not everyone uses a catalogue with confidence. Secondly, the way I am organising information may not be suitable. I’m organising it in terms of place at the moment. Often researchers assume that because we are a library located in Brisbane, Queensland, we will only have resources related to this particular area. I want to show that we’ve got resources that cover all states of Australia and some UK resources as well. I notice that SLQ organises their Family history guides by subject first and then area of interest e.g. Births. Deaths and Marriages, Directories/Almanacs/Gazateers, Census Records. I think it will have to be a work in progress. At least I have cross-checked catalogue records with physical items (and noticed a few errors/improvements that might be made in terms of describing the collection). Ultimately I would really like to improve the way the collection is housed physically and would like to group all relevant items together. At the moment some items are in Non-Fiction, some in the YA Room where our Genealogy computers and Microfiche Reader are locarted and some behind the Circulation Desk. The music in Master and Commander. That might sound facetious but it isn’t meant that way. We had a screening of Master and Commander on Monday afternoon. A small but enthusiastic audience were treated to a bag of popcorn and a cup of tea while they watched the movie. I forgot how beautiful the music is in this movie. I just remembered the powerfully dramatic scenes but the music really helped crack any stiff upper lips too I think. Would we have got higher attendance if we had done a display I wonder? Maybe I should test that for next time. Our next movie later this month is Diana and Me starring Toni Collette and directed by David Parker. This movie was released unfortunately at about the same time the Princess of Wales died. Talk about bad timing. What would you put on a display about Diana & Me? I’m thinking a display about Celebrity. All ideas welcome. Be very careful about running the gauntlet of the Young Adult Room on the First Friday of the Month when Book Club is on. You may be challenged to “try” a couple of Bertie Bott’s Jelly Beans. You know – the vomit and rotten egg flavoured ones. The expression on my face upon consuming the “delicacies” caused much merriment to participants who shrieked with glee. The theme of the month was Harry Potter and a few curses and spells were being invented I fear. I was allowed eventually to retrieve the prophetically named Of Gods and Monsters off the shelf for a customer. I attempted to improve my communication today and clarify my thoughts about the kind of services we should be offering and when. Inducting a “new” casual at our branch with whom I had worked at another branch. Her joy, enthusiasm and delight in being in our “space” for the first time was infectious and life affirming. Bless. 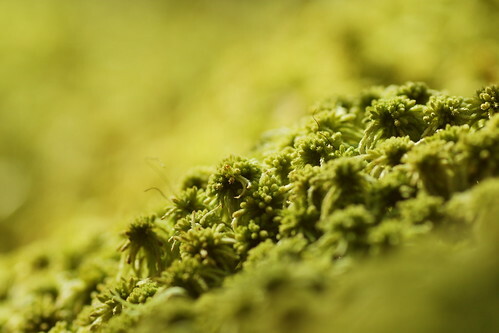 Sphagnum is another word for peat-moss. No that was a crossword clue and this is meant to be about work. Ummm…okay…I learned this…The lovely Kris popped into the office tonight as I was sucking the end of my pencil and making agonizing decisions about the magazine budget. “Did you know about this DVD?” she said waving a DVD under my nose called Telstra Everyone Connected Training. “It’s got stuff about tablets and mobile phones on it. I’m taking it home tonight.We get questions about that all the time.” She’s right. We do. Yay. 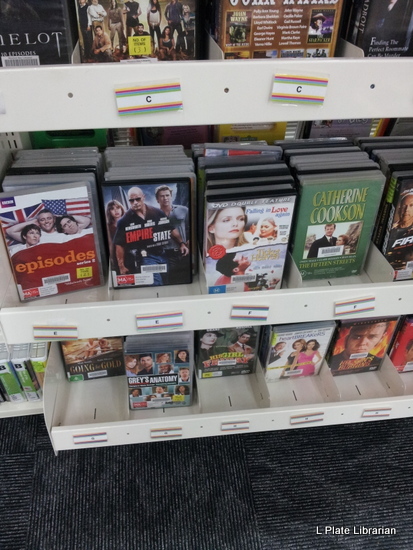 We always recommend books – Computers for Seniors and the like – and there’s a DVD. We’ve got 39 copies in the region, 3 at our library. You’d think I would have noticed. Well I know now. Good one Kris! I said “Yes” to a student placement. Does that count? Or saving the environment by offering a lift to a colleague on the way to the meeting. Sharing the drive with a colleague and catching up with other colleagues who I haven’t seen for a long time at the meeting. Yippee Aye Oh … Yippee Aye Eh! One Thing I Learned: If you press F4 from the returns menu in Spydus you can go straight to the customer’s record (why has it taken 3 years for someone to tell me this ?) – thanks Tracey. One Thing I Improved For our first meeting tomorrow, I thought I’d share a list of resources with the new WW1 Working Group, inviting others to share their favourites. Creating something that we can all add to once we have worked out how we are going to manage our knowledge. A wiki perhaps?